The Serendipitous Team welcomes you to the path of better health and living through essential oils! We are passionate about helping others achieve this goal and take pride in educating others on just how easy it can be to remove toxins from your home and help you become a healthier you. Once you sign with our team, we add you to our private Facebook group specially designed to help you continue to learn the many uses of essential oils. We walk with you through this journey, you are never alone. Aside from the 24% distributor discount you receive when you sign up, Young Living further rewards you for sharing your love and growing knowledge of Young Living products. Most of us don’t sign-up with the intention of launching our own business, that aspect of it happens naturally from sharing our experience and newfound passion for essential oils. We would love for you to join our team whether that simply means just being a user of the product or whether that means you share your interest in essential oils with family and friends. We also would also be honored to work with you on your journey if you come to be just as passionate about Young Living as we are and are driven to launch your own business to become the next Young Living Royal Crown Diamond! 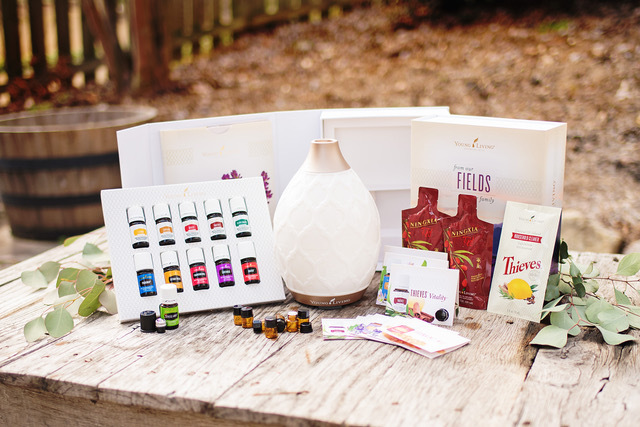 The most simple and cost-effective way to get started with essential oils begins with the Premium Starter Kit. It comes with 11 essential oils and your favorite diffuser! 15-ml Thieves, Thieves AromaBright™ Toothpaste, Thieves Fresh Essence Plus Mouthwash, 2 Thieves Cleaners, 2 Thieves Foaming Hand Soaps, 2 Thieves Sprays, 2 Thieves Waterless Hand Purifiers,5-ml Stress Away™, AromaGlide™ Roller Fitment and much more. NingXia Red 2-pack, 30 NingXia Red Singles (2 fl. oz. ea. 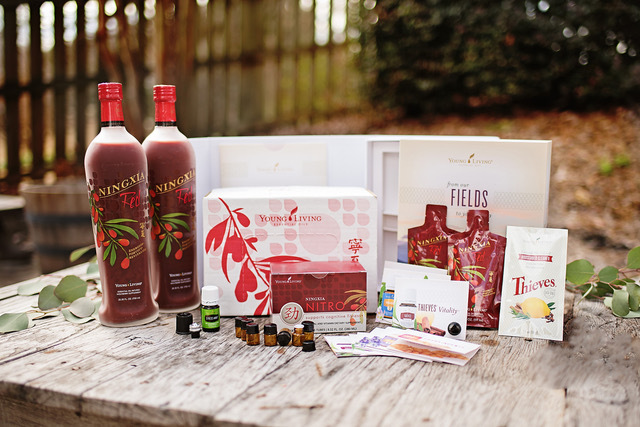 ), NingXia Nitro, 5-ml Stress Away™, AromaGlide™ Roller Fitment and much more. Foundation, Blush, 3 Eye Shadows, Foundation Brush, Lip Gloss, Misting Spray and 5-ml Lavender Essential Oil. If you are ready to begin your journey, consider your kit options and begin here! Never fear, once you begin with us, we will continue with you. If you are looking for more info or are ready to join our team to begin building your business, start here!